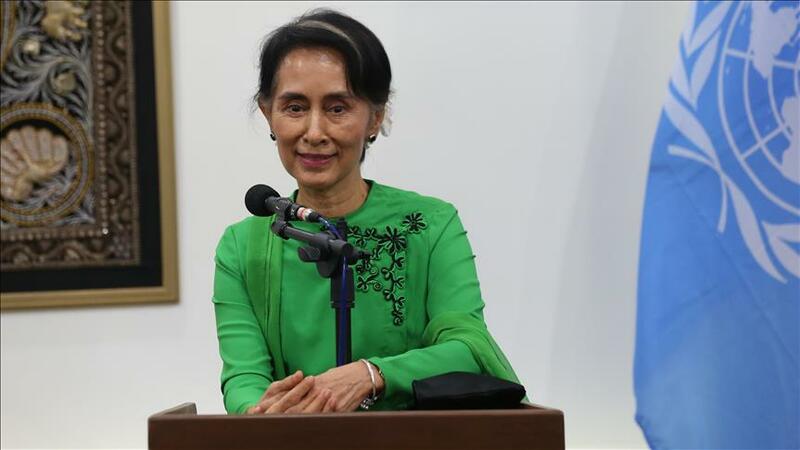 October 28, 2016 (Tony Cartalucci - NEO) - Myanmar's defacto leader, Aung San Suu Kyi of the National League for Democracy (NDL) political party, has paved her time since coming to power earlier this year with both irony and hypocrisy. She has not only illegally declared herself "leader" of the Southeast Asian state in contravention of its constitution, she has also embarked on an iron-fisted purge of her political opponents identical to the one she fought against as she struggled to seize power to begin with. During elections earlier this year, Myanmar's constitution prevented Suu Kyi from holding the nation's highest office due to her inordinate amount of time overseas, her status of having been married to a foreign, and her children's dual citizenship. Instead of adhering to the law, her party once in power, simply contrived an entirely new post for her, State Counsellor of Myanmar, which makes her the "defacto leader" of Myanmar. Suu Kyi, the internationally recognized democracy advocate, is barred from becoming president because her late husband was British, as are her two sons. The rule was crafted during Myanmar’s decades of military rule, which Suu Kyi fought against during years of house arrest before finally prevailing last fall. In essence, she is unelected, and illegally holding power. For a woman who's Western backers - particularly in the United States and United Kingdom - have held her up as a champion for democracy and the rule of law, she and her party's first act upon taking power was trampling both. 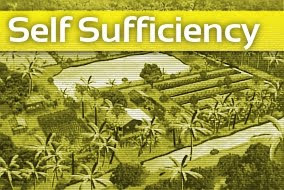 Another myth built up around Nobel Peace Prize laureate Suu Kyi by the West has been her advocacy for "human rights." Her advocacy for human rights, however, appears only to extend out to protect only as far as her immediate political allies are concerned. For groups beyond this self-serving political protection, and particularly regarding her political opponents, she and her NDL are just as eager to jail, crush, or kill political opponents as they claimed the ruling military government had been. In addition to escalating violence targeting the nation's Rohingya's population, several activists online have been sent to jail for "insulting" the ruling government and Western-backed media fronts and organizations. A Facebook user named Zaw Zaw (aka Nga Pha) was brought to the North Dagon Township court on October 24 to face prosecution for his defamatory posts about State Counsellor Aung San Suu Kyi. He has been charged under Section 66(d) of the Telecommunications Law. “He’s being sued for defamatory writing and photos about the State Counsellor [posted on Facebook],” said plaintiff Nay Myo Kyaw, a 34-year-old resident of North Okkalapa Township. 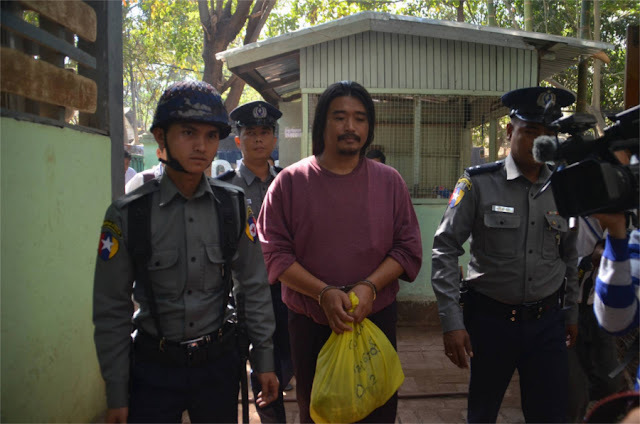 The Myawady Township Court sentenced Aung Win Hlaing (aka A Nyar Thar), the first man to be prosecuted under the current government, for defamatory posts on Facebook about President Htin Kyaw, to nine months in jail after he was convicted under Section 66(d) of the Telecommunications Law. Aung Myint Tun (aka Ko Pho Htaung), a member of the National League for Democracy, is still facing legal action under the same law for the wording of a resignation letter. Another man named Yar Pyay was arrested and is being prosecuted for creating a fake Facebook account under the name of Nay Myo Wai, the chairman of Peace and Diversity Party. Hla Phone was also arrested and is being prosecuted for defamatory posts on Facebook about the Commander-in-Chief. Eleven Media Group (EMG) also filed complaints about repeated defamatory posts on Facebook against the group. Though EMG lodged complaints against film director Mike Tee, who is the owner of a Facebook account named Than Tun Zaw, and another Facebook user named Myat Maw for offensive posts about the group and its staff, the legal process has yet to begin. EMG lodged the complaints on January 27 and March 31 this year. One would expect such a tidal wave of abuse - as defined by the West in regards to media, governance, and censorship around the world - to be met with sweeping condemnation from the West's various human rights advocacy organizations including Human Rights Watch, Amnesty International, and a no doubt embarrassed Reporters Without Borders - yet the silence is as deafening as it is telling. The West's champions of democracy, rule of law, and human rights in Myanmar appears to have simply taken over right where Suu Kyi and her NDL party had claimed the military-led government left off. And despite the overt nature of Suu Kyi's breaches of Western standards of "democracy" and "human rights," the US is on track to lift all sanctions from Myanmar as Suu Kyi and her government open the nation, its people, and its resources to exploitation by Western corporations. The overt nature of both the West's and Suu Kyi's hypocrisy illustrates that "democracy," "rule of law," and "human rights" are merely facades behind which the West and its proxies wield their power - hiding behind such principles rather than truly upholding them. And in reality, such behavior undermines these principles more than any overt abuse by an openly tyrannical regime ever could - because genuine advocates thus become associated with hypocrites like the Western governments supporting the current regime in Myanmar, their faux-nongovernmental organizations aiding and abetting the regime, and proxies like Suu Kyi and her NDL themselves. International audiences must keep this example of hypocrisy in mind as the West attempts to overturn other governments in Southeast Asia and beyond under similar pretexts and using similar rhetoric - supporting supposed "pro-democracy" and "pro-human rights" advocates who have every intention of trampling both upon seizing power.